Girl steal all the stares this weekend with these totally cute shorts. Featuring a cream crepe material with a peplum style waist and a figure-hugging fit. 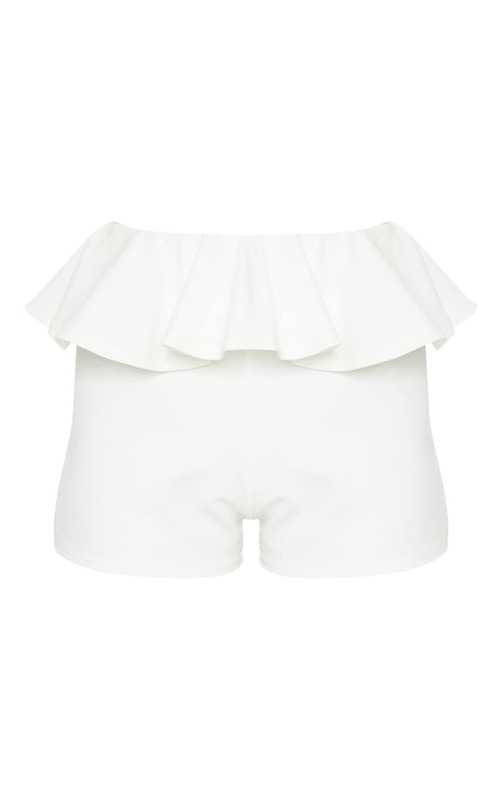 Team these shorts with a bodysuit and tie-up heels for a Saturday night look with your bestie.